Birth of Louis Anderson etc. I'm searching for Louis Anderson's birthdate. It is said to be July 1867, may be Arendal, according to Family Search, USA. He emigrated to that country approx. 1891, where he married Inga Konstance Johansdatter and got a substantial number of children. She was born and baptised in 1875. He seems to be a sailorman, as I found more than one returns to Norway. The last one was in 1917, when he returned to the USA as a Returpassager. I would like you to send me as much information as possible, i.e. parents' names, birth date and birth place, and also when he first emigrated of departed to the USA. You may reply in English or German, but preferably not in Norwegian. I know some expressions but my knowledge is too weak. My late wife is very distantly related to this family. Thanks beforehand for your kind cooperation. N. van der Brugge, Netherlands. It would be great if you would share where you have found the information you are referring to, as this might give clues as to where to search. Like Hans says; it would be nice to have some more information! Where did he live, when did he die? Hi, thank you for getting back to me. Those are indeed his children. But no one of the descendants have sufficient information as to his origin. That's why I try to get news from the Norwegian archives, but getting information in Norway seems to be even as hard as in the USA. No one can produce a birth certifcate of Louis. I do have 1875 baptismal data and birth data of his wife Inga Konstance Johansdatter, but that's all. They married in the USA. There is no link of the couple itself to be found in Norway. May be he was born in Arendal (Aust Agder(? )), but this not sure. 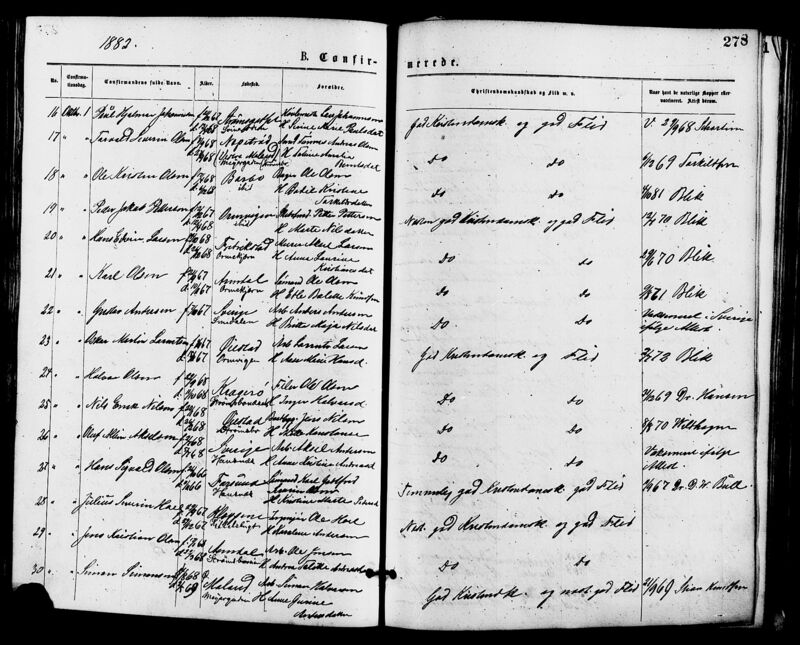 Are the Norwegian Census documents already viewable? Louis lived in the USA, where he died. He was a sailor men and returned from time to time to Norway. (He was right, for your country is a beautiful country; my late wife and me have spent several times our holydays there in the past). The data we have got were found in some American archives, such as a Censuses, but the Census information is based on personal statements and not on written documents. So there are no real sources, unfortunately. I hope you will succeed in getting reliable information. Cheers, N. van der Brugge, Netherlands. Just the youngest daugther is born here, the rest in Massachusetts. Ruth Anderson F Massachusetts EDIT: b. August 1912. Seems like the Family is listed in another familytree as well. Is this a relation or would this provide new information ? peaceofmind12 has chosen to not make this tree publicly viewable. Click the "Contact peaceofmind12" button below to contact the tree owner using Ancestry's anonymous Connection Service. 1607 People in this member tree. ""Family stories here are that the Louis Olaf Anderson and Inga Constance/Christina Johnson/Johanson's families were both from Oslo, but I've found no proof. My last visit to New Jersey this summer, I went to the County offices where the US Naturalization records are kept and they helped me look through all the microfilm but I could not find Louis' citizenship papers. I know he was made a US citizen between 1910 and 1920 and most of that decade they were in NJ and in that County. So, now I have to assume he filed his papers in Boston, Massachusetts, which is harder to research. I also need to order his death certificate from NJ, which I do hope has the name of the town in Norway of his birth and verify his parents' names. The only other record I feel is solid is a WWI Draft registration for one of his sons, one of Anna's brothers, on which he states his father was from Arendal. That's further south on the coast from Oslo. That would fit his seaman's history. "" Anna is a daughter of Louis and Inga. We have a baptismal registration of Inga but a registration of Louis is missing. We would very much appreciate that you (if possible!) mail me a copy of this registration as a proof of Louis' descent. Thanks a lot beforehand for the copy of registration or any other document (Census?) stating more details of Louis. When Louis Anderson was in Norway in 1917 he is listed as a rancher and he travelled together with his wife Karen. Is that a second wife? They left Norway from the port of Trondheim, which is in another part of the country than Oslo and Arendal. If he had been visiting in the Arendal area he would most probably go via the port of Kristiansand. The name of Karen is unknown to me in this respect. Thank you. How do you know that he was accompanied by his wife? From the database " Emigranter from Trondheim 1867-1930"
Are we certain that this actually is the right Louis Anderson ? I also think this might be another Louis Anderson. From another familytree at www.ancestry.com by "Ladyshane3221"
Parents listed as:Axewl Anderson and wife Christine. Marriage 3 July 1893 in Boston,Massachusetts to Inga Konstanse Johansdotter b Mars 1875 in Oslo, she died in Highstown,Mercer, New Jersey no date. Many thanks for your help. I contacted my American friend and will reply as soon as possible. I think they must be a different family, bacause in 1910 'our' family have already got several children i Massachusetts. Yes, I agree. This is another Family. We need to concentrate on the Massachusetts and New Jersey leads. His wife: Anna Christina Andreasdotter, born December 31, 1844 in Uddevalla, Göteborgs and Bohus län, Bohuslän. - Olof Albin Axelsson, born July 2, 1868 in Tanum, Göteborgs and Bohus län, Bohuslän. - Alida Axelsdotter, born February 18, 1866 in Kville, Göteborgs and Bohus län, Bohuslän. - Hulda Lovisa Axelsdotter, born August 9, 1870 in Tanum, Göteborgs and Bohus län, Bohuslän. Kildeinformasjon: Aust-Agder fylke, Barbu, Ministerialbok nr. A 1 /1 (1878-1883), Konfirmerte 1882, side 278.